Caribbean Computer and Caribbean medical supply source. 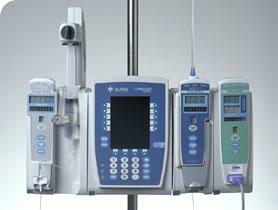 VI Hospital and Medical Supply, Inc. carries products from most of the major manufacturers. Our suppliers are: Baxter, Kendall, Sherwood, Rusch, Welch Allyn, Omeada and BD just to name a few. Since we are not "married" to any one or two suppliers we can objectively choose our products to give you the best price and best quality. We maintain a large stock of all your basic needs in our warehouse in St. Thomas and if you tell us your special needs and usages we will maintain stock in whatever products you require. We presently serve the islands of Anguilla, Antigua, The British Virgin Islands, Dominica, Sint Maarten, St. Kitts, Nevis and The US Virgin Islands but we will ship to any Northeastern Caribbean island. Call, fax or email us to arrange to have a sales representative meet with you if you would like. Emailax your quotes or orders to o sales@bangssales.com or ted@bscvi.com . Please see our News / Specials page for some special offers we presently have. You may click on the EXCEL link below to see our current list of products that we have in stock. Shipping is always included on all orders and quotes. We have no hidden costs! CLICK ON THE "X" FOR OUR INSTOCK LIST. Here are some of the manufacturers that we are authorized reps for, please click on the Excel document below.